When the Private Participation in State Undertakings Act BE 2535 (the PPSU Act) was promulgated in 1992, it reshaped the legal framework for infrastructure investment in Thailand, ushering in the first regulatory principles on the implementation of Public-Private Partnerships (PPP). 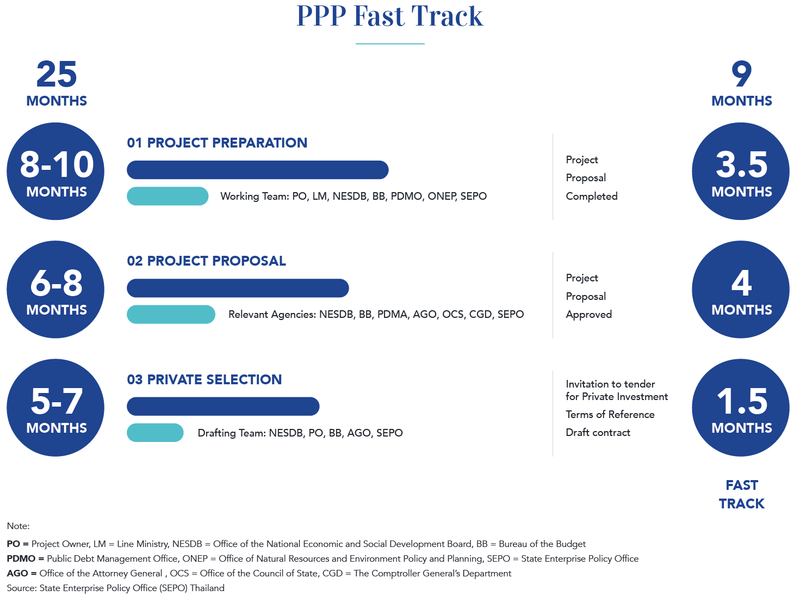 While it was an innovative and praiseworthy piece of legislation that governed private participation in infrastructure development in the Kingdom for over two decades, the PPSU Act lacked clear-cut guidelines on the prerequisites and procedures for streamlining the PPP bidding process and defining lines of authority, roles and responsibilities in implementing PPP projects. The enactment of the Private Investments in State Undertakings Act BE 2556 (the PISU Act), which replaced the PPSU in 2013, provided the much-needed clarity that was sought by an increasing number of domestic as well as foreign investors. 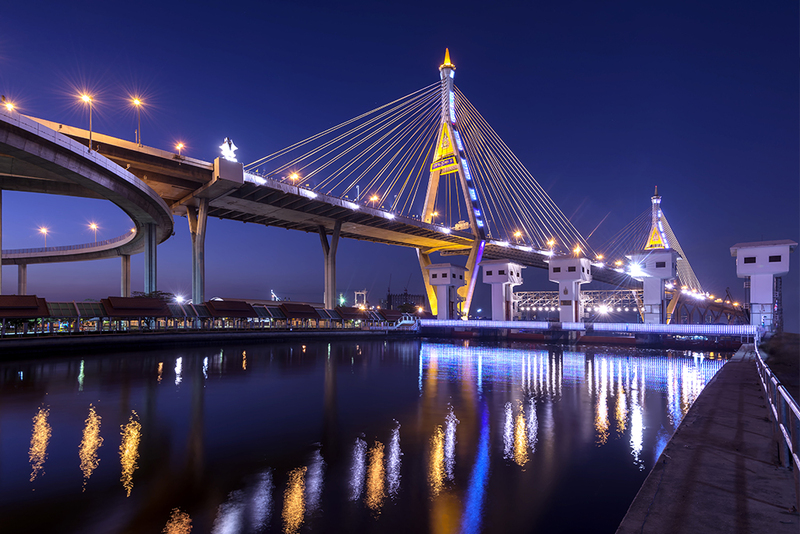 The merits of Public-Private Partnerships in attracting foreign direct investments were made evident by the surge of PPP arrangements in Thailand, which prompted the government to further revise the legislation. On occasion of the 2018 ASEAN PPP Summit, H.E. Mr. Arkhom Termpittayapaisith, Minister of Transport of Thailand, illustrated the five areas covered by Thailand’s Transport Infrastructure Development Strategies 2015-2022, namely: (i) intercity rail networks development, (ii) improving public transport networks and services, (iii) enhancing connectivity between key domestic production bases and neighboring countries, (iv) expanding the water transport network and (v) enhancing air transport capability. With its advantageous geographical location at the heart of the Southeast Asian mainland and the Greater Mekong Subregion, the Kingdom of Thailand has laid out ambitious plans to bolster its regional competitiveness. The vast majority of PPP ventures in the country are located in Chachoengsao, Chonburi and Rayong provinces the so called Eastern Economic Corridor (EEC), which is poised to become a leading ASEAN economic zone and a regional hub for technological manufacturing and services with pilot projects that manifest the vision of the Thailand 4.0 roadmap. Furthermore, Mr. Arkhom indicated that The Royal Thai Government’s 2018 Action Plan encompasses 44 infrastructure projects for an investment totaling 57.75 billion U.S. dollars. Infrastructure projects may benefit from a range of financing sources, namely, Government budgeting, State-Owned Enterprise (SOE) revenues, infrastructure investment funds, loans and PPPs. 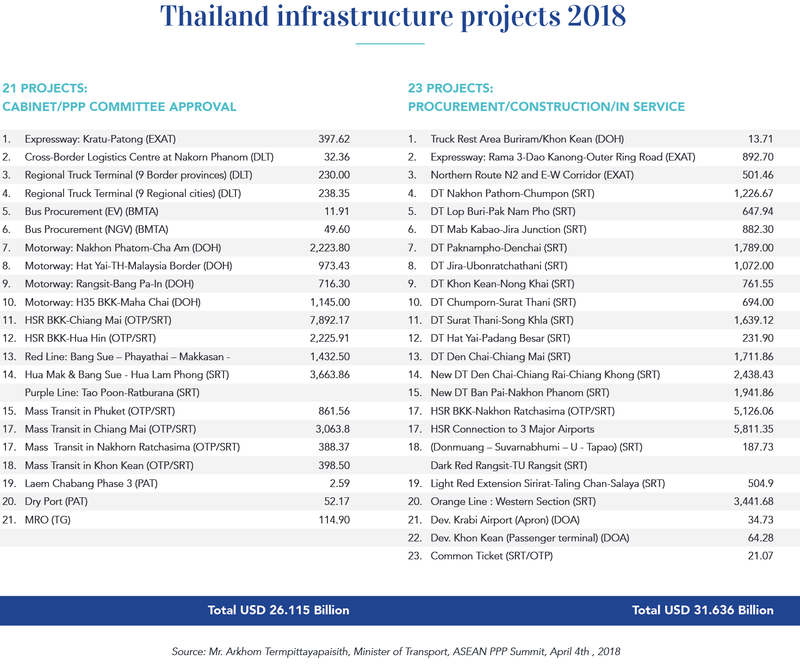 The incidence of PPP arrangements as a means of financing infrastructure projects in Thailand has progressively increased throughout the years in the past three years, for instance, the percentage of PPP-financed infrastructure projects has increased from 20.98% in 2016 to 22.05% in 2017, to 24.85% in 2018 and this trend is set to continue. In a recent interview with the Nikkei Asian Review, Mr. Arkhom said that the new U-Tapao airport, a former military air base located in the EEC, will handle up to 60 million passengers a year, once it is fully repurposed as a civil airport, thus becoming a gateway for business travelers that may surpass Singapore’s Changi by 2030. The Corridor is meant to attract investments in high-tech and high-value-added sectors such as aerospace, robotics and biotechnology, greatly enhancing the country’s competitiveness. The Minister of Transport added that Thailand requires new infrastructure so as to stimulate investment in these advanced industries; to this end, the airports of Bangkok-Suvarnabhumi and Don Mueang, currently at overcapacity, will undergo further expansion to reach an annual capacity of, respectively, 90 million and 40 million passengers. Against the backdrop of this FDI-friendly political climate where directives such as NCPO Order No. 21/2560, to reduce unnecessary bureaucracy and slash costs associated with incorporating companies in Thailand, and the most recent SMART Visa amendment are possible this surge in infrastructure requirements led to the drafting of an amendment to the PPP Promotion Act, which was approved by the Cabinet on April 3rd and expounded on by the Minister of Transport at the 2018 ASEAN PPP Summit on April 4th. The new bill provides for a swifter PPP application process and it is based upon four pillars, (1) Facilitation: processes are made easier for investors, with a substantial reduction of red tape and easier access to funds; (2) Alignment: ensuring that the PPP projects being proposed are all aligned with the country’s development plan; (3) Streamlining: a legislative guillotine to curtail overtly bureaucratic procedures into a clear, concise and concerted process, to be achieved through the implementation of the PPP Fast Track; (4) Transparency: a more efficient dialogue between private investors and contracting authorities is of paramount importance, as it is a piecemeal report, to be disclosed and available for verification at every stage of the process. The Eastern Special Development Zone Act B.E. 2561, also referred to as the EEC Act, which entered into force on the 10th of May 2018, is a cornerstone piece of legislation that aims at spurring infrastructural and economic development in the EEC region, promoting investment in Specific Targeted Industries, as well as formulating Smart City Promotion Incentives. When the EEC Act was proclaimed, Ms Duangjai Asawachintachit, Secretary General of the BOI, elaborated on the Incentives granted for investment in any of six intelligent platforms: (i) Smart Mobility, to implement efficient transportation with a consequent reduction of urban congestion, incidence of traffic accidents and parking footprint; (ii) Smart People, to improve education and social equity; (iii) Smart Living, for a healthier, safer and culturally vibrant society; (iv) Smart Economy, to improve the ease of doing business, foster productivity, stimulate entrepreneurship and innovation, and increase local and global interconnectedness; (v) Smart Governance, to support more efficient public services, enable supply and demand-side policies, uphold and enforce transparent ICT and e-government policies; (vi) Smart Energy and Environment, to intensify investment in renewable energy sources, green buildings and green urban planning, for a clean and safe environment. Owing to its favorable geographical position, enhanced by a system of highways and seaports, and the many incentives it benefits from, the Eastern Seaboard catalyzed a significant majority of investment applications to the BOI in 2017, resulting in the prioritization of the EEC Act. The Corridor, which comprises twenty-one industrial zones extending through the provinces of Rayong, Chonburi and Chachoengsao, hosts the headquarters of many Thai and foreign multinational enterprises, a number of which are in one of the S-Curve 10 targeted industries. Among the incentives are: the right to own land, substantial corporate income tax exemptions, and attractive five-year work visas for investors, specialists and scientists. In order to improve upon the current regional infrastructure, the EEC Act envisions the expedition of the construction of the high-speed railway connecting three of Thailand’s major airports, the expansion of two deep seaports, Map Ta Phut and Laem Chabang, and a major upgrade of U-Tapao International Airport, transforming it into a modern aerotropolis and MRO hub. For the latter project, earlier this year Airbus and Thai Airways International agreed to jointly establish a maintenance and overhaul facility at U-Tapao. Thailand 4.0’s success story speaks volumes of a culture where economic growth and social progress intertwine. Social progress is undoubtedly an intrinsic property of the Thailand 4.0 policy, which has its roots in economic prosperity, social well-being, raising human values and environmental protection. In the words of John F. Kennedy, Economic growth without social progress lets the great majority of the people remain in poverty, while a privileged few reap the benefits of rising abundance. In addition, the process of growth largely depends on the existence of beneficial social conditions. Our own experience is witness to this. For much of our own great productivity and industrial development is based on our system of universal public education. Kian Gwan House III, 9th Floor, 152 Wireless Road, Lumpini, Pathumwan, Bangkok, 10330, Thailand. 1. Arkhom Termpittayapaisith, Minister of Transport of Thailand, 2018 ASEAN PPP Summit, April 4th, 2018. 3. Order of NCPO No. 21/2560 on the subject of the amendment to the law for the ease of doing business in Thailand. 4. Section 1020/1 of the Civil and Commercial Code. 5. SMART Visa is a new type of visa designed to attract highly skilled manpower, Thailand’s SMART Visa, Attracting Foreign Talents and Technologies, Board of Investment (BOI) Thailand, January 2018. 6. Duangjai Asawachintachit, Secretary General of the Board of Investment, BOI News, May 21, 2018. 7. Next-Generation Automotive, Intelligent Electronics, High-Income Tourism and Medical Tourism, Efficient Agriculture and Biotechnology, Food Innovation, Automation and Robotics, Aviation and Logistics, Bio-Fuel and Bio-chemicals, Digital, Medical and Healthcare. 8. Social progress is defined as the capacity of a society to meet the basic human needs of its citizens, establish the building blocks that allow citizens and communities to enhance and sustain the quality of their lives, and create the conditions for all individuals to reach their full potential, Michael Porter, Institute for Strategy and Competitiveness, Harvard Business School: Why Measuring Social Progress Matters, Skoll World Forum 2016.